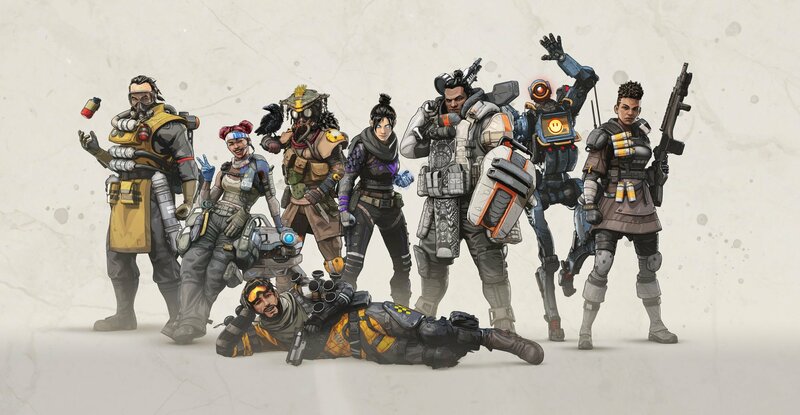 When does the Apex Legends Season 1 Battle Pass start? Update 03/18/19: The Apex Legends Twitter account has confirmed that the Season 1 Battle Pass, titled Wild Frontier, will release tomorrow, March 19 at 10am PT, 1pm ET, 5pm GMT. Further details are now available on the official website. Price and further details have been added below. Update 03/12/19: It looks like the Battle Pass details have been leaked on Origin's landing page for the game and we'll be getting at the very least an announcement today of when the pass will be coming. 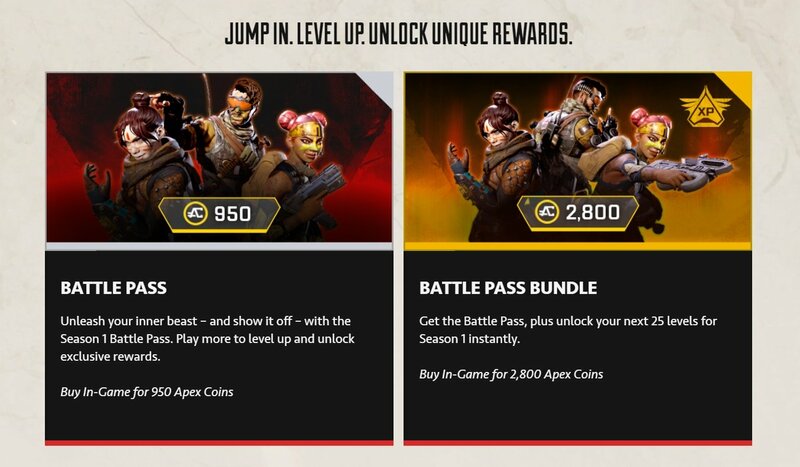 Leaked images show the battle pass costing 950 Apex Coins and introducing extreme sports fiend Octane as the new Legend. It’s fair to say that Apex Legends has had a pretty solid opening as games go, pushing past 25 million players in the space of a week. The free to play battle royale game is the current zeitgeist for certain, but developer Respawn Entertainment will want to keep that interest rolling over the coming months and even years. To that end, the studio has planned seasonal content in the Fortnite style, complete with a Battle Pass for players to tackle. 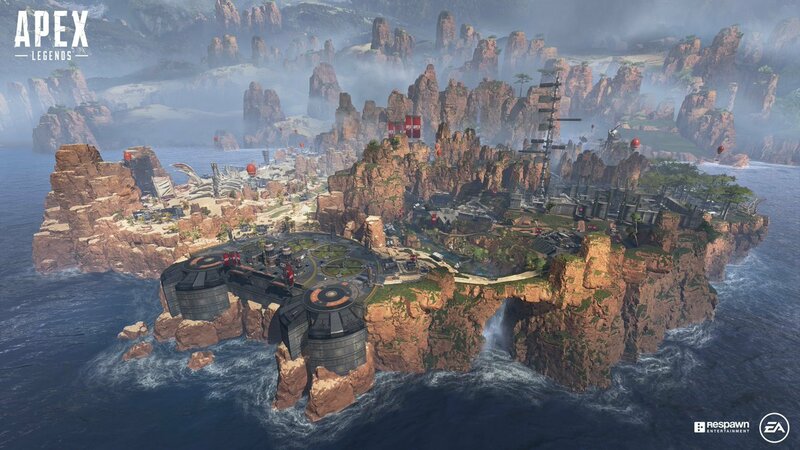 In this article we’ll run you through all the details we have so far on Apex Legends’ roadmap, and let you know what the Apex Legends Season 1 Battle Pass release date is. When is the Apex Legends Season 1 Battle Pass release date? The official start date has now been confirmed for the Season One Battle Pass Wild Frontier arrives at 10am PT, 1pm ET, and 5pm GMT on all platforms. The Battle Pass brings over 100 new items to the game, including new skins for all the Legends. The full details of what's included are available on the official site. Respawn Entertainment has also released a roadmap for a full year of planned content for Apex Legends, and it all kicks off in March with Season 1. How much does the Apex Legends battle pass cost? The Apex Legends battle pass will cost 950 Apex Coins. At the going rate, that many Apex Coins costs a little under $10 if you purchase the basic 1000 coin pack. Obviously the cost is lower if you splurge on a larger number of coins, but the lowest that could possibly go is about $8 if you purchased the massive 10,000 coin pack with a bonus of 1,500 coins for $100. Since it's likely you'll be able to earn skins and coins just through completing challenges in the battle pass, it might not be worth shelling out more than just the 1000 you'll need to get started. You can either buy the Battle Pass alone for 950 Apex Coins, or splash out on the Battle Pass Bungle which will unlock the first 25 levels of the Battle Pass instantly, much like Fortnite has done with their passes. There are four Seasons currently planned, each lasting three months. Every Season will come with its own Battle Pass. as well as a new Legend, new weapon and new loot. 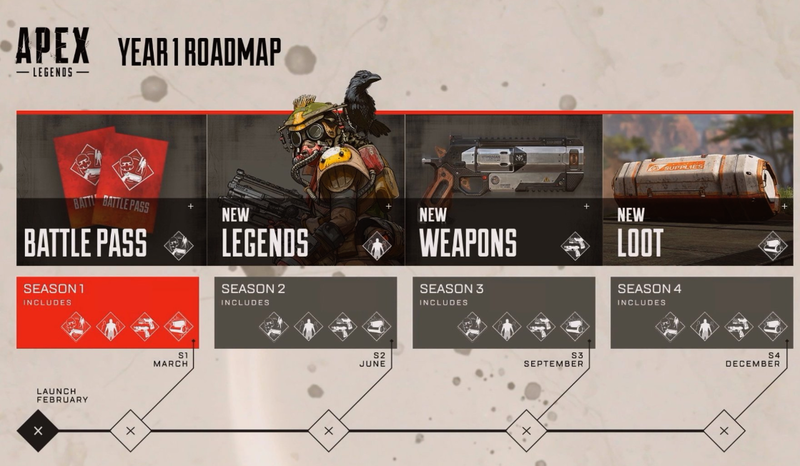 The current roadmap shown below indicates they’ll limit it to one new weapon added each Season, but plans may change if they want to keep up attention. We expect the weapon and loot to be universally available, while the Legends will be locked to owners of the pass or purchasable in-game. As well as the guaranteed additions to the game, you should expect the Battle Pass to offer a set of challenges for players to test themselves with, including kills with certain weapons or finishers, looting in certain regions, or even zipline travel distance. Apex Legends’ world doesn’t take itself too seriously, so we expect the developers to have some fun with these. 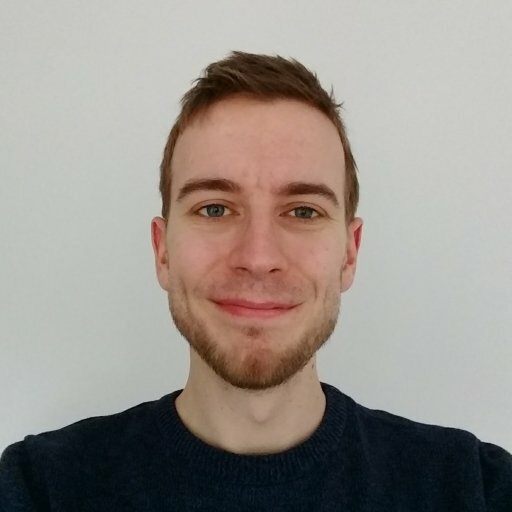 Finally, Respawn has also stated that they are open to the idea of developing new maps for the game, so we expect a few of them to arrive much further down the line. Right now players are still working out the best strategies for Kings Canyon, so this will probably be towards the latter half of the year. That’s all we know about Apex Legends Season 1 Battle Pass so far, but we’ll update this guide as more information comes out. Until then, take a look at our range of other guides. We can teach you all the armor and item stats for Apex Legends, or even point out the best weapons in the game for you.